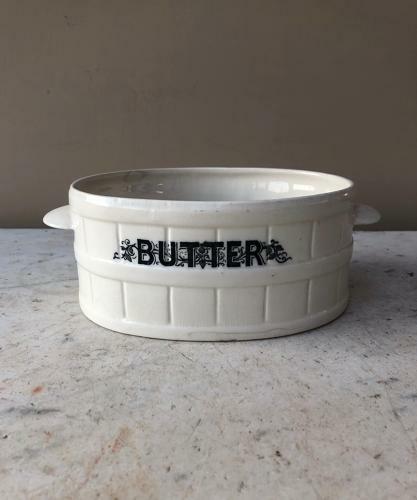 Edwardian White Banded Butter Dish. Wonderful Typography. Condition overall is very good...one hairline to the front at the very base.